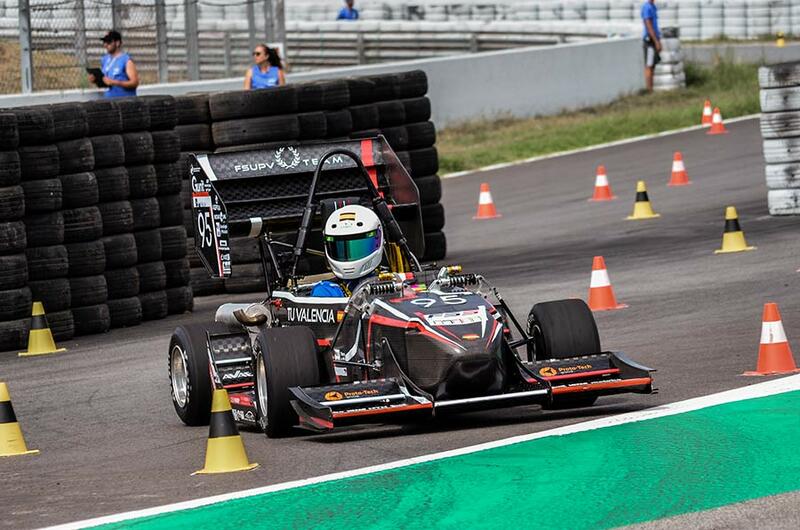 Today in our blog we make a summary of the great results of the FSUPV Team in the Formula Student 2017 – 2018. They began in the month of September, with a generational change that incorporated the students of the first edition of the FSUPV Academy for the first time. With ambitious objectives, and with an eye on FSAE Michigan, work was started in parallel on the design of the FSUPV-05 and the improvement of the FSUPV-04 for that competition. The main change of the season: the reduction of the size of the wheels, going from rim 13 “to 10”, which improves the dynamic behavior of the car and lowers the center of gravity. The FSAE Michigan competition was a challenge for the team. Moving half of the equipment to the United States, the other half that remained in Valencia continued with the manufacture of the FSUPV-05. Arriving as novices, each day that progressed focused more on them. Entering the finals of Design for the first time in the history of the team, and finishing in third position in Skid-pad and fifth in Autocross of more than 110 participants, ensuring a good starting position for the Endurance. Thanks to a good choice of tires with the track in changing conditions, they were proclaimed winners of the star test to finish in third absolute position, bringing home also the prize for the best motor development. From there they also brought a lot of knowledge and new friends from whom to learn even more. 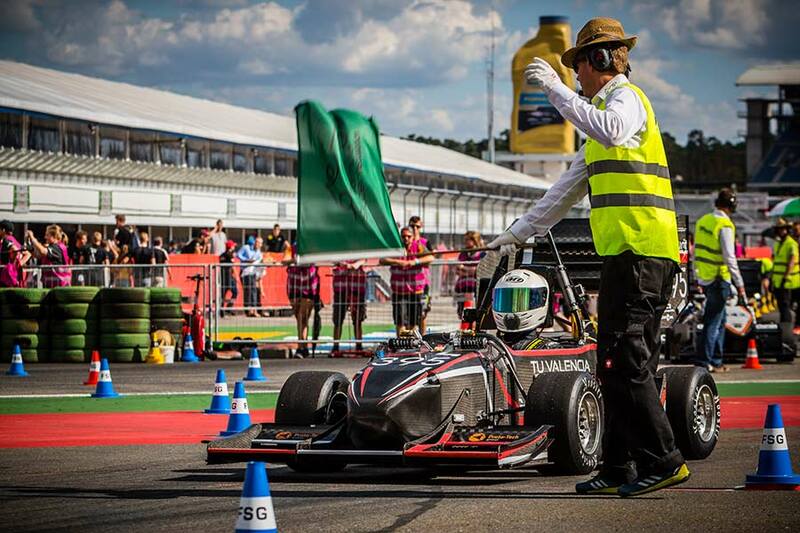 After an intense month of testing with the FSUPV-05, Formula Student Germany was presented with hope and optimism. With a challenge ahead at the time of passing the technical inspections, being the last in the queue, and coinciding with some static tests, all team members had to give 120% so that the final results were not compromised. The day of the static tests culminated with a result of 92 out of 100 points in the Cost test, being at that time the best result of the team, and achieving more discrete results in Business and Design. This also made them the first Spanish team to finish in the top ten of combustion in FSG. The most important Formula Student competition did not disappoint and every mistake was paid dearly. 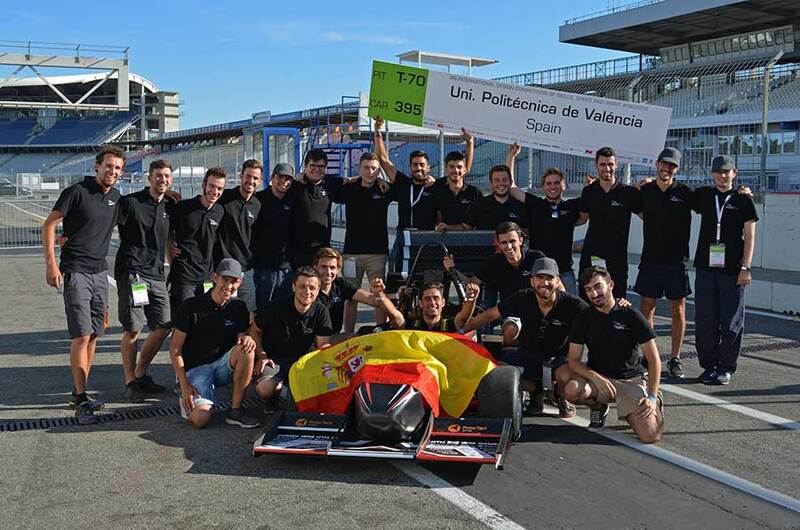 Finally, the home competition, Formula Student Spain. With a car that had already shown its speed in Hockenheim, the objectives for Montmeló were even more ambitious. This time with a good queue order to pass the technical inspections, they surpassed them without any problem the first day. With more than 100 points out of 150 in the Design test, and placing them in the Finals of Cost finishing finally seconds, the dynamic tests were presented with the FSUPV Team fighting for the top positions. 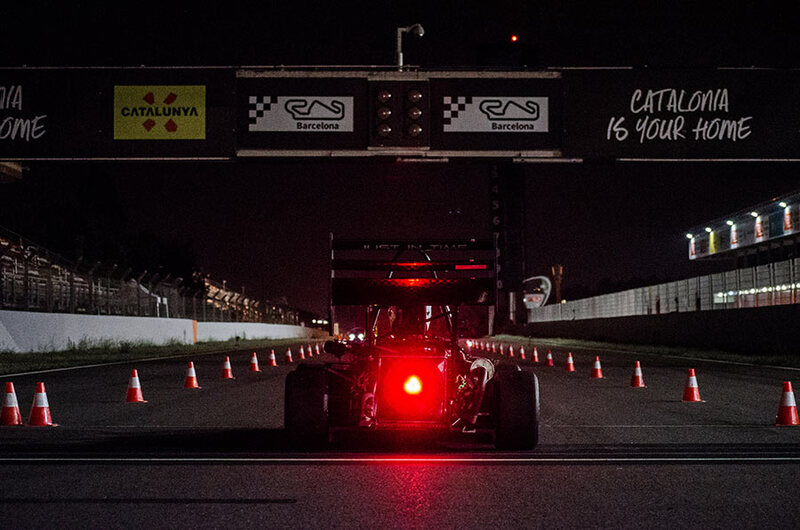 The first test, the Skid-Pad, ended with an eighth position, and then finish third in the Acceleration, a test that was played for the first time at night. An eighth position in Autocross made the Endurance come up with good expectations, and it was. They managed to finish in fourth position, to be placed in fifth position of combustion. In addition, they were awarded the prize for the best Spanish team, to close the best season in the history of the team. These values have accompanied all the members of the FSUPV Team throughout this year. Thanks to them, the team ventured to cross the pond to compete in FSAE Michigan, the longest Formula Student competition. 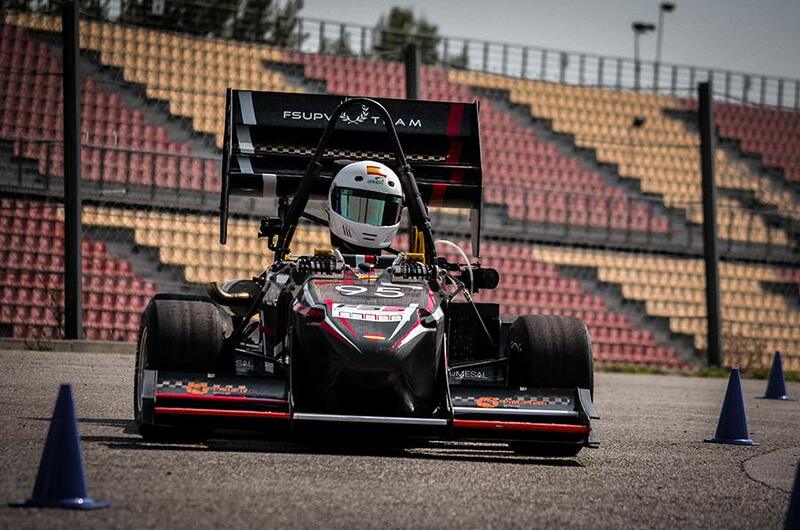 Like years ago, they also attended Formula Student Germany and the home competition, Formula Student Spain. There, they were awarded the prize for the best Spanish team, consolidating not only as the best national combustion team, but as the absolute best.